The massage oils are infused with organic argan oil and sweet almond oil.The high amounts of emolient organic argan oil and sweet almond oil helps regulate the skin's natural hydration. 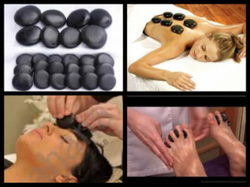 The deep penetrating heat from the black basalt stones are placed in various positions on the body for energy balancing.They are used for specific trigger point therapy. The heat-enhancing minerals that are part of the stones make up allow heat to penetrate both the stones and the client's body for extended period of time. The stones are sanitizes and heated with its electrical heating unit. Cupping therapy is an ancient Chinese form of alternative medicine in which a local suction is created on the skin; practitioners believe this mobilizes blood flow in order to promote healing. Suction is created using mechanical devices. Green Seaweed is the healthiest plant on the planet. They have huge amounts of Vitamin A, E, C and all the B's including B12. It is also a good source of Vitamin E, K, rich in minerals, zinc, iron, protein and complete fiber. Green Seaweed Marine Mask synthesizes the finest ingredients for a formula that is gentle but potent enough to imbue moisture, reduce fine surface lines, improve skin firmness and increase cell turnover. Barley Whitening Scrub is made of Organic Dead Sea Salt and Barley extract, this kind of body scrub can effectively slough off dead skin cells to promote a blemish free skin while leaving it super soft and silky smooth with the whitening effect of barley for your complexion. This is suitable for all skin types as this green colored scrub is made naturally. Herbs imported from Thailand are wrapped beautifully in muslin cloth. The compresses contain herbs like dried yellow ginger, keffir lime leaves, plai, tumeric, lemon grass which known for their therapeutic values. 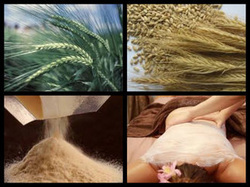 They have anti-inflammatory qualities which soothed tired and tight muscles. The herbs also have therapeutic value for the softening the skin, increasing energy, enhancing immunity, increasing circulation and easing sinus and upper respiratory congestion. 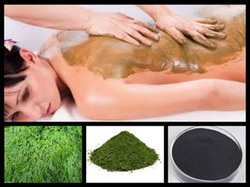 Along with all the benefits of the herbs, the treatment is hot and moist. This means it is a deeply relaxing therapy which helps reduce the negative impact of extreme stress, exhaustion and overwhelm. 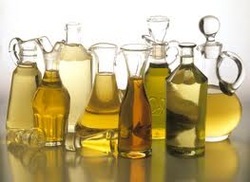 The compresses also release essential oils that provide heavenly aromatherapy.